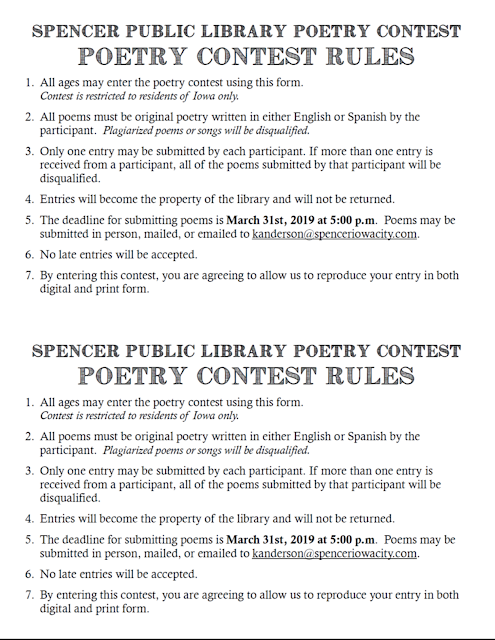 There is still time to turn in an original poem for Spencer Public Library's 10th Annual Poetry Contest. This is open to all ages, kindergarten through adults. 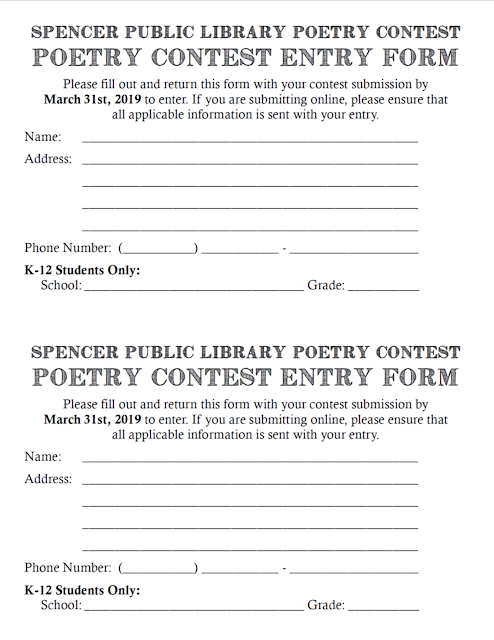 The deadline is March 31st. 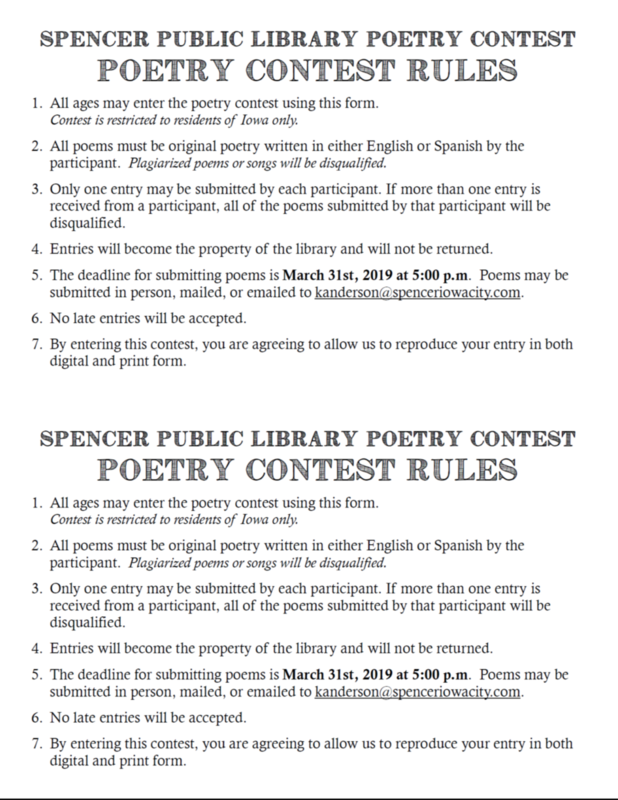 A copy of the entry form and rules is attached. 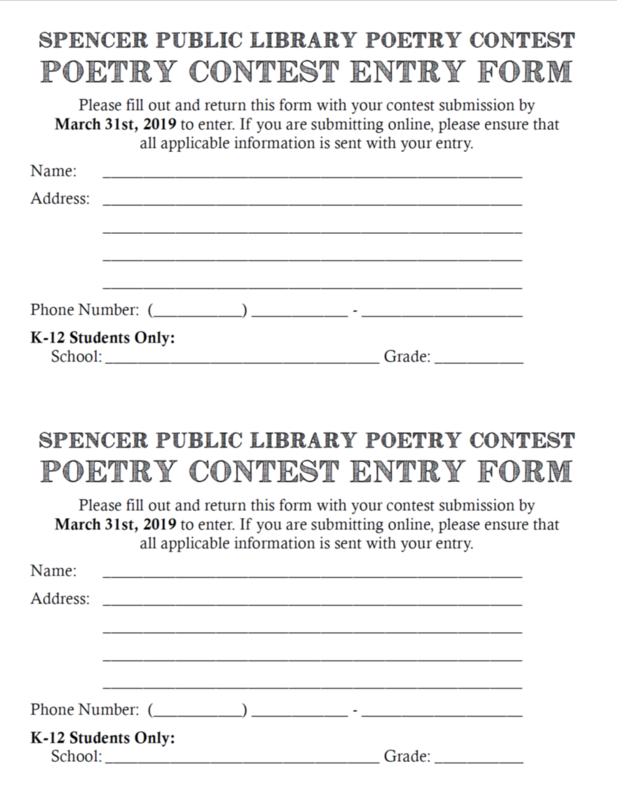 We are looking forward to reading your poetry!